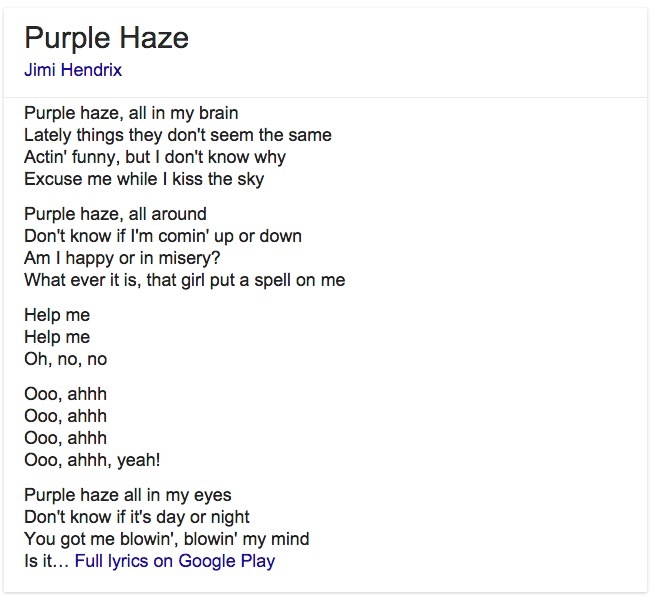 Due to copyright issues, many song lyrics sites used to be hosted on offshore servers, but now Google has cut a deal with the Toronto-based firm LyricFind to legally display lyrics in search results. The move both funnels money to the publishers and songwriters of the licensed songs — and might send a few people to Google Play Music as well. Google is also expanding the tools its offers to teachers by making its Expeditions virtual reality experience available to everyone with the Android app, a network connection and a VR viewer. Expeditions offers virtual reality tours to more than 200 locations and an iOS edition of the app is expected soon. The company also released its Google Cast for Education app for Chrome for wireless screen-sharing in the classroom. Facebook has decided that it needs to rev up the Slideshow feature that was originally included it its Facebook Moments app last year. In a new update to the Facebook mobile app, if it senses you have taken more than five pictures or videos in the past 24 hours and you go to post a status update, Facebook suggests that you make a slideshow out of the material. (The TechCrunch site has a theory that Facebook is desperate to get people to post more original content on the site.) Facebook is also adding location-based events to its main app to offer suggestions for things to do besides spend all night on Facebook, and actual humans will curate the events lists. Twitter announced that its adding stickers to photo tweets, perhaps in an attempt to get more teenage girls to use the service. Municipal lawmakers and the Airbnb site for easy short-term rentals have a contentious relationship in places like New York City and San Francisco because of local housing laws, and now the start-up is even suing San Francisco over a new law that says Airbnb hosts must register with the city first. The lawsuit contends that San Francisco is putting the burden on Airbnb to enforce the law by fining the site $1,000 for posting unverified-with-the-city listings on the site. As The New York Times points out, Airbnb originally helped write the law in the first place to quell protests from affordable hosing advocates. The New York Legislature also passed its own bill against Airbnb this month that would impose fines on apartments listed with the service that rent for less than 30 days if the leaseholder if not present. That bill awaits the governor’s signature. Amazon has added a new feature to its Kindle apps and e-readers that’s designed to make it easier for you to wander around in an ebook without losing your place. The new tool is called, appropriately, Page Flip. Medical offices have become a popular target for hackers thanks to the troves of personal patient data and now hackers have taken to selling thousands of records on the dark web after their demands for money were turned down. Speaking of hackers, Apple’s forthcoming iOS 10 software has already been poked, prodded and had its flows exposed in public by an individual who has posted it all online on the iOS Hacker Wiki. Pinterest, which added buy buttons to some items on its mobile app last year, has added those click-to-buy buttons on its web version now. A shopping bag is also available so you can click around on either mobile or desktop and then buy all your pinned purchases at once. 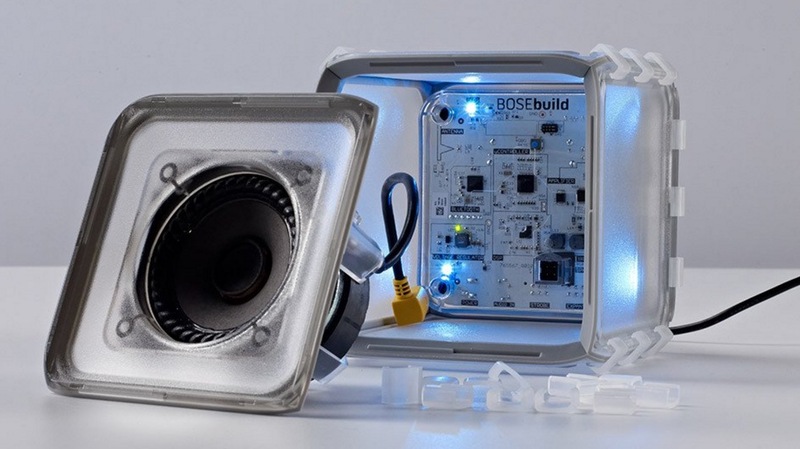 And finally, summer is here and if you need some projects to occupy the kids, Bose has a $150 BoseBuild Speaker Cube kit that shows kids how to make a Bluetooth speaker that works with an iOS device while also teaching them how the principles of sound and speakers work, along with magnets, electromagnets, frequency and waveforms. Need another educational a summer project? Make has instructions on how to make a Wi-Fi Drone Disabler with a Raspberry Pi, some telnet scripts and a cantenna, but stresses this is an educational exercise to help you “understand the security risks of wireless communications.” Yes. Yes, it is. The independent audio magazine devoted to mashing up pop culture, technology and more. J.D. Biersdorfer and Pedro Rafael Rosado are your hosts. It's an Internet Radio revolution! PTJ 306: Internet Cleanup in Aisle Three! PTJ 303: Fire in the Troll Hole!